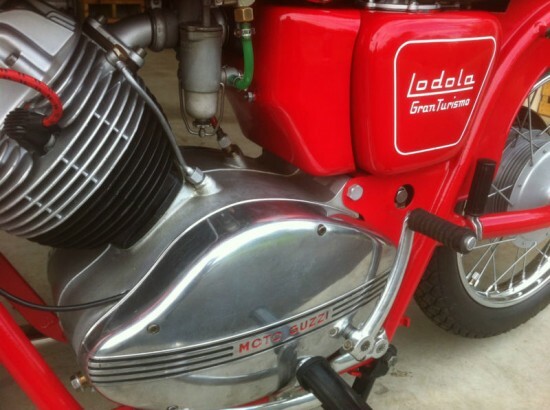 The Moto Guzzi Lodola [“Lark”] is yet another reminder that, in the motorcycling world, bigger wasn’t always considered better. In the past, tax laws that penalized big bikes and the simple efficiency of small motorcycles was appealing in an era where the choice to ride was often driven more by economic necessity than issues of vanity or pleasure. With cars often an unaffordable luxury, small, practical, but stylish machines were a very realistic transportation choice. But the little Lodola was considered to be a very sophisticated machine at the time, with a mutable character that reflected the rider’s mood, or right wrist. The little 235cc bike is particularly interesting for being the last bike designed with founder Carlo Guzzi’s direct input. – It does leak a little oil like many of these old bikes do. There is a new engine gasket set included in the spare parts if it bothers you enough to swap them out. Never bothered me. Main issue is fixed, yet because of the age of this bike, I cannot guarantee it will not leak ever again. – There are two small paint chips on the left side upper fork, one small chip on the bottom of the rear fender, and a small stress crack on the left side of the rear fender that I have seen on almost every Lodola. These can be seen in the last three pictures. There are also a couple of small chips on the frame, but are only visible with the engine case covers removed. 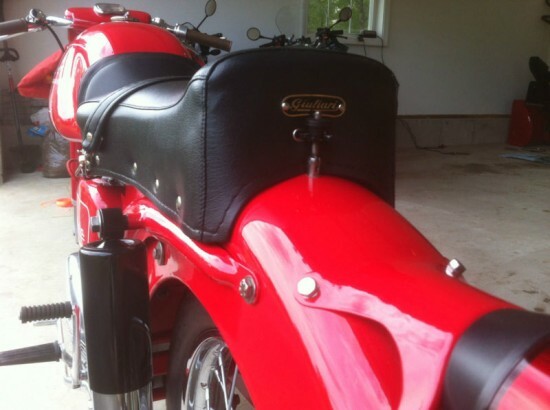 – The muffler is a period Moto Guzzi replacement, not the original. It shows some minor chrome flaking as it was not restored. It still looks nice, but close examination will show the flaking. 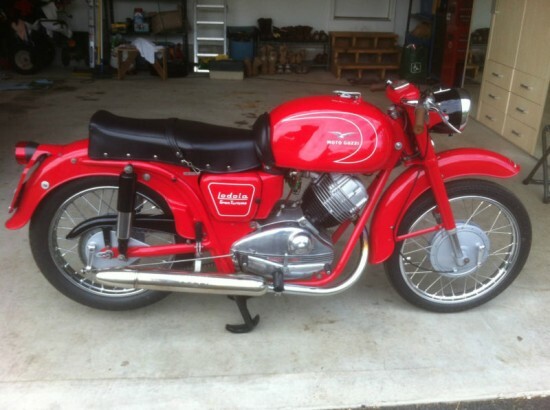 Personally, I like this muffler better than an original as it is a little shorter and “Moto Guzzi” is embossed in it, which the original did not have. The bike will come with some extra parts left over from the rebuild and reproduction owner’s and service manuals (in Italian). 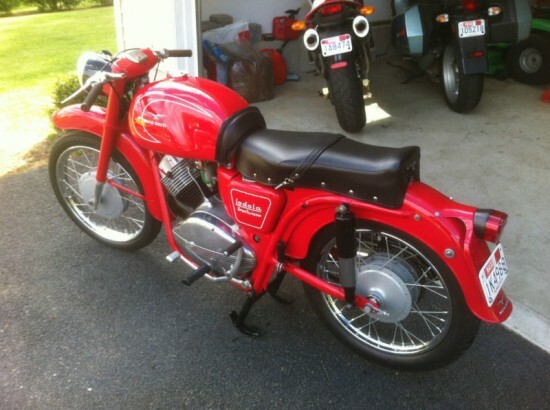 I’ve only seen a couple of these come up for sale, and bidding is still very low for this bike, so I’m curious to see what we’ll be looking at when the [virtual] gavel comes down on this auction. But it looks like a very cool little machine for Sunday rides down country lanes.